We've set up a category for hats in team colours in our online shop so it's easy to find them. Have fun imagining what you'll look like in them! 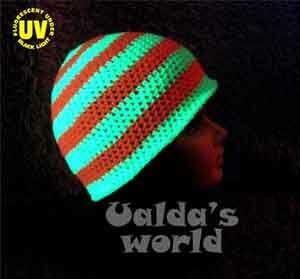 Ualda hasn't set out deliberately to make hats in the colours of any particular team (so far, at any rate), but over the years many have been bought for men because they suit a team's colours. If you would like one of these designs as a present for that difficult man but don't see it in the colours you want please get in touch and we'll see if Ualda's got the right colours of wool to make one for you.